have one right-handed holster left. Holds one full size 1911 pistol. Made for molded cordura / corduroy, especially for 1911's pistols. 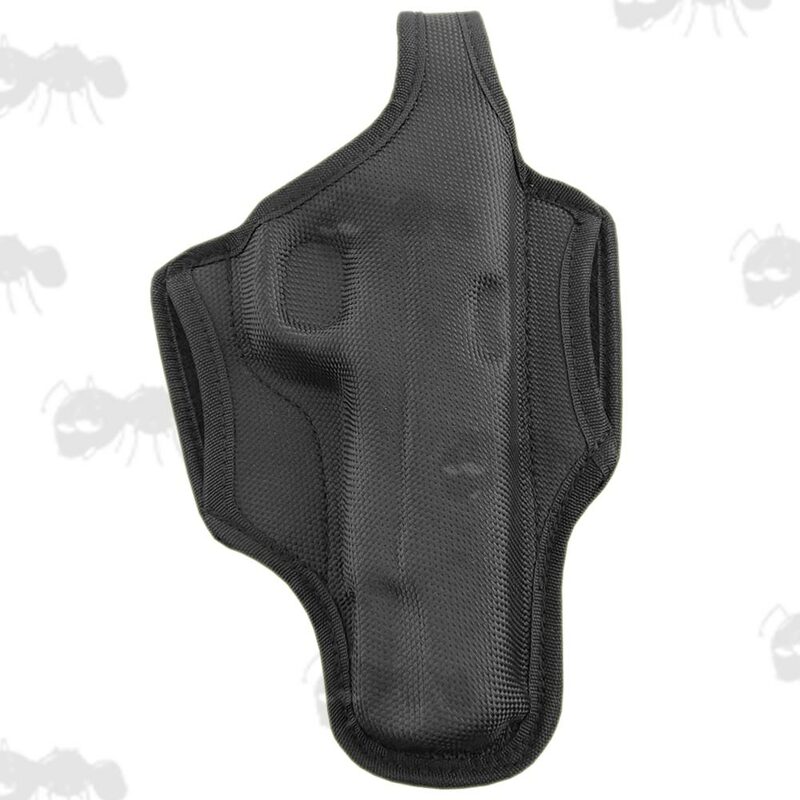 The pancake style holster fits to the back of the body. 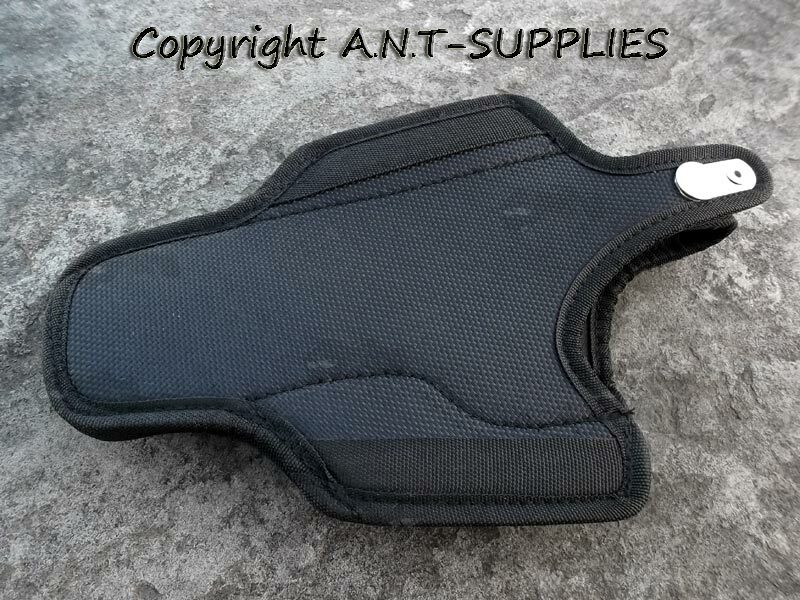 With two belt slits either side and two belt loops on back of holster for extra stability and support. Made from cordura with a velvety suede interior to protect the finish on your cherished sidearms. We also have 1911 wooden grips available.